The Committee on Climate Change has warned the Government to make urgent tax vehicle tax reforms in this year’s Autumn Budget, to stop uptake of ultra-low emission vehicle sales from stalling. Vehicle tax is not doing enough to drive ULEV uptake, the committee said. In an open letter to secretary of state for transport, Chris Grayling, and secretary of state for business, energy and industrial strategy, the committee’s chairman, Lord Deben, said vehicle taxation is “not doing enough to incentivise the purchase or leasing of lower-emitting vehicles”. 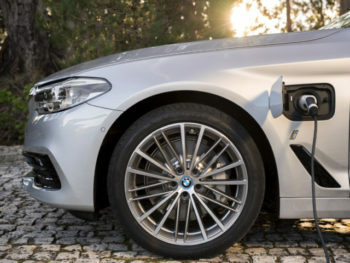 The letter calls for the Autumn Budget to bring forward the low Benefit-in-Kind bands for plug-in hybrids forward by a year, introducing them in April 2020, echoing Fleet World’s campaign which launched earlier this summer. It also says vehicle excise duty rates should follow the same bands as company car tax, to minimise confusion and incentivise plug-in hybrids better compared to petrol and diesel alternatives. “Overall, our assessment of existing and newly agreed policies for road transport is that they are insufficient to ensure the reductions in emissions necessary to meet the 5th Carbon Budget in the most cost-effective way,” said Deben. The Autumn Budget takes place on 29 October, within weeks of fuel duty being frozen for the ninth consecutive year, and reduced purchase incentives for ultra-low emission vehicles. To sign our petition calling for urgent company car tax reforms, click here.